P. Diddy’s former home provided plenty of bling for Stribling in 2009. The mogul’s onetime Park Avenue pad is now a 25-foot-wide limestone doorman rental building, known as 807 Park Avenue, with three townhouse-style residences. This year, Stribling’s Alexa Lambert, Tim Desmond and Linda Melnick rented the building’s Townhouse II for $40,000 per month, the firm said. It was Stribling’s largest rental deal of 2009. Also this year, the three agents rented the building’s penthouse, Townhouse III, for $38,000 a month, and Townhouse 1 went for $32,000, according to Desmond. The three four-story units share a lobby, but each has its own private elevator. In a sign of how far the high-end rental market has fallen, however, those rents have dropped significantly since the first time they were rented in 2008, after the project failed to sell as a condo. Townhouse II was rented in 2008 for $55,000, $15,000 more than 2009’s rent, Desmond said, and Townhouse III was rented for $17,000 less this year. Townhouse 1 was last rented in August 2008 for $38,000, $6,000 more than its 2009 rental price. “That was a very different market,” Desmond said. Still, he said, the rental market is active at the right price, as evidenced by Townhouse I. When the unit came on the market this fall for a Dec. 1 lease, it was priced at $30,000, but multiple bidders drove the monthly rent up to $32,000. “We were quite surprised that we had a bidding war,” Desmond said. Originally known as 813 Park Avenue, the narrow structure was built as a five-story apartment house in 1899. Over the years, it was enlarged to 12 stories and divided into three large apartments. Rapper-turned-mogul Sean “P. Diddy” Combs bought the building in the late 1990s for $12 million, living in the bottom four floors and renting the top floors to the likes of socialite Rena Sindi. 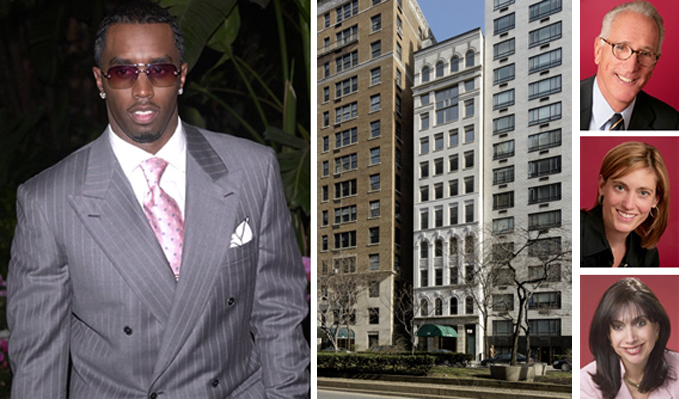 Diddy sold it in 2004 for $14.3 million, and in 2005, developer Siraj Dadabhoy began marketing the three units as townhouse-style condominiums, each 5,000 to 6,000 square feet and priced between $12 and $16 million. Combs resides in the Park Imperial at 230 West 56th Street. The units at 813 Park Avenue failed to sell, first with Elliman, then with Stribling. The building was renumbered and given a new name– 807 Park Avenue— and interior designer Eric Cohler was hired to redesign the space. Eventually, Dadabhoy asked Stribling to rent out the units, first in 2008 and again when the original leases expired in 2009. It was an unusual request because Stribling specializes in sales, though many sales brokers have since started marketing high-end rentals in a slow sales market. The building seems to have found its footing as a rental, thanks in part to its prime location on Park Avenue between 73rd and 74th streets, an area dominated by co-ops. 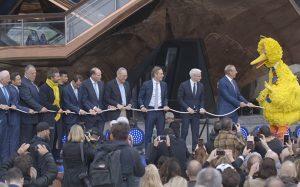 The addition of the doorman helped make the building attractive to families, he said. For more information on the year’s top rentals, stay tuned for the January issue of The Real Deal.